Anyone who has visited the pyramids and seen the Sphinx in Giza, Egypt would be quick to notice that the nose is missing. The tour guide would be quick to point out that it was knocked out by a cannon ball from Napoleon`s army during his invasion of Egypt in 1798. So, this is the popular legend. Reality, however, will be shown to be quite different. In this article, the story of Napoleon`s invasion of Egypt and the case of Sphinx`s missing nose are examined. The story of the French desire to conquer Egypt goes back to the times of the Crusades. After the Battle of Hittin, where Saladin defeated the crusader army and later recaptured Jerusalem, there have been several crusades where European armies were sent to recapture Jerusalem. All attempts were unsuccessful in doing so. It soon became clear to Louis IX of France that a strong and prosperous Egypt meant that a well financed army can be raised to defend Jerusalem from any crusade. In 1284, he set off not to attack Jerusalem, but Egypt itself. Although his army was defeated and Louis IX himself was captured, this marked the first European attempt to control the Middle East by controlling Egypt first. Four hundred years later, a German philosopher Leibniz came up with a detailed plan for a French invasion of Egypt, including building the Suez Canal. He approached King Louis XIV, otherwise known as the Sun King, with his plans. He presented his plans to the king as a means of counteracting the growing influence of other European nations in Asia. His real motives, however, were to distract the king from invading his home country of Prussia. In any case, King Louis XIV rejected his plans citing that such ideas have “gone out of fashion” since Louis IX`s attempt to invade Egypt. In 1776, an envoy of the Ministry of the Navy by the name of Baron Francois de Tott, was dispatched Cairo to assess the political climate there. On his arrival, he was immediately escorted to the Citadel where the Ottoman appointed Pasha confided to him that a revolt was about to take place. Although nominally part of the Ottoman Empire, after the Mamelukes were defeated in 1517, Egypt was effectively divided into small fiefdoms, each ruled by a local Mameluke. The local Mamelukes were all connected through a network of blood relationships. The Ottoman appointed governor of Egypt was a mere figurehead who collected the annual taxes shipped to Istanbul. The revolt that was brewing was one against the Mameluke rule. Eventually, the revolt was suppressed, but it gave de Tott a glimpse to the inner politics in Egypt and demonstrated to him that the country was fractured and was suppressed heavily under Mameluke rule. He eventually recommended to his superiors that the time was right for an Egyptian occupation and that it was possible to convince the Egyptians that the French were liberators, not occupiers. 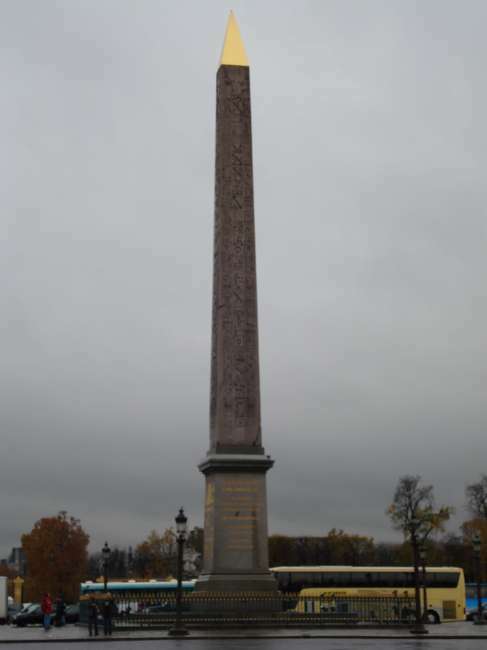 In 1798, the time of Napoleon`s attempt at an Egyptian invasion came. After successful invasions of both Italy and Malta, he had more than enough treasure to finance an expedition to Egypt. He saw the East as having far more potential than Europe. He mentioned that “Europe is a molehill … Everything here Is worn out … tiny Europe has not enough to offer. We must set off for the Orient; that is where all the greatest glory is to be achieved.” Egypt was the first step to his grand plan to forge a French Asiatic empire. He saw that he can achieve this if he can convince the people of the land that he is a savior. In his own words: “I saw the way to achieve all my dreams … I would found a religion, I saw myself marching on the way to Asia, mounted on an elephant, a turban on my head, and in my hand a new Koran that I would have composed to suit my needs. In my enterprises I would have combined the experiences of the two worlds, exploiting the realm of all history for my own profit.” As a true atheist of the French revolution, Napoleon had no problem of proclaiming himself a Muslim to the Egyptian people if that was politically expedient. On June 30, 1798, Napoleon arrives in Alexandria and overtakes the city with relative ease. At this point in history, Alexandria is but a shadow of its former glorious days. Its population at 24,000 was nearly a tenth of its height during Roman times. Napoleon makes a pact with the local chieftains and convinces them that he is not a conqueror, but a liberator whose only conflict is with the Mameluke tyrants. All seemed to be going according to plan, until word arrived from Cairo that the Grand Mufti of Al-Azhar Mosque issued a religious edict proclaiming the French as an invading army and that all Muslims should fight them. The entire population of the city and countryside became hostile overnight. Napoleon knew that his only chance of securing his gains is to make a rapid march on Cairo and to quickly overtake the city. After a long and arduous journey in the Egyptian deserts, the French army finally arrives at the outskirts of Cairo in July 20, 1798. The French were badly beaten by starvation and disease. Colonel Savary wrote in his memoirs after the war, “the whole army has diarrhea.” This is a common infliction among Westerners that stay in Egypt for a prolonged period of time to this day. With a foreign terrain, weather conditions that have not been seen before, an alien culture and customs that the French were not familiar with, many soldiers were maddened and resorted to suicide rather than continuing on the journey. The total number of soldiers that took their own lives number in the hundreds. Napoleon decided that the army needs rest and camped north of Cairo. The French army were rested and well fed before beginning battle the next day. The Mamelukes prepared an army of 6000 of their finest soldiers (the total Mameluke population in Egypt at the time was between 10,000 to 15,000), along with 15,000 armed Egyptians and 3,000 Bedouins. Each Mameluke warrior was supported by two or three Egyptian soldiers, which would carry his extra weapons. Napoleon organized his men in square formation, with 6 men deep. The first row of men would fire their bayonets, followed by the second, and so on. Once the last row has completed firing, the first row would have reloaded and be ready to fire another round. In this fashion, Napoleon`s army was able to provide continuous fire on an approaching army. Since the accuracy of the bayonets was very poor, the squares would have to wait until their target is within 200 paces. This required very strong discipline and nerves. The Mameluke army, on the other hand, consisted mainly of cavalry armed with a variety of guns. The Mameluke warrior would start by firing his carbine. A carbine is a lightweight rifle with limited accuracy. On closer range, he would switch over to a pistol discharging it rapidly on the enemy. Once it runs out of ammunition he simply tosses it, where one of his two Egyptian support soldiers would retrieve it from the ground. Next, he would use a djerid, or short light-weight spear, that would be thrown at the enemy. Once the enemy is close enough for hand-to-hand combat, he would use a razor-sharp sword with deadly accuracy and power. To free his hands for combat, the horse`s reins would be held by his teeth. The Mameluke warriors came in wave after wave attempting to encircle the French squares to find an opening, but to no avail. They would come in a full on charge, only to be sliced down by the bayonets at close range. The very sound of the bayonets frightened the horses that forced the warriors to dismount. Nevertheless, the Mamelukes bravely came in wave after wave. This was said to continue on for at least two hours. Thousands of Mameluke warriors were killed. The French casualties were less than 20. This battle became known as the Battle of the Pyramids. The French army subsequently entered Cairo and setup its headquarters there. Here is the first myth of what really happened. The battle took place near a town called Embaba, which is north of Cairo. It probably should have been called Battle of Embaba, but it doesn`t have the same ring to it. Napoleon decided to name the battle the Battle of the Pyramids, although in reality the pyramids were far away from where the battle was. This also takes us to the second myth. It is largely believed that upon seeing the Sphinx, Napoleon ordered the nose of the Sphinx to be lodged by a cannon ball. This simply isn`t true for a number of reasons. Firstly, the French army never reached the pyramids. As mentioned earlier, they were in Embaba, then marched straight into Cairo. The pyramids are to the south of the old city of Cairo. Secondly, a painting of the Sphinx by Frederic Louis Norden was taken in 1755 with the nose of the Sphinx missing. This is more than two decades prior to Napoleon`s arrival to Egypt. So, how did the Sphinx lose his nose? That is a mystery that historians have yet to solve. One thing that is known for sure is that it was cut off and hasn`t simply fallen off. The Sphinx`s beard, which did fall off, was found buried in the sand and is now stored in a museum in Egypt. The nose was never found. So, whatever happened to it, it must have been purposely cut off for one reason or another. Napoleon hoped to have a legacy of starting a French empire in Asia where he would be emperor. These dreams vanished as his army was later decimated by failed conflicts and plague. He would escape back to France without his army. His Egyptian expedition did, however, inadvertently change the course of history in a number of ways. First, it helped Egypt weaken the Mameluke`s grip on the nation, allowing a new Turkish governor, Muhammad Ali, rid Egypt of Mamelukes once and for all and set up a powerful Egyptian independent nation. Muhammad Ali, today, is regarded as the founding father of modern Egypt. Secondly, Napoleon deeply believed that many hidden secrets of the Ancient civilization of the Greeks remained hidden in Egypt. Once the ruins of Egypt are excavated, it would reveal wonderous secrets. He brought with him savants and scientists for his archeological excavation projects. This resulted not only in the birth of Egyptology, but the association of Ancient Egyptian symbols and artifacts with European art and freemasonry. Indeed, the Sphinx became an emblem of Masonic architecture throughout 19th century Europe. The United States dollar bill has a pyramid printed on it, due to the influence of freemasonry on the founders of the United States of America. Thirdly, his invasion opened European imperialist eyes on Egypt as everyone was surprised by the relative ease that the French invaded the nation and the little resistance it demonstrated. This would later strengthen European imperialistic interests in the region, especially after building of the Suez Canal, causing the nation to fall under British occupation nearly a century later in 1882. Fourthly, he issued a series of proclamations to different sultans and minority groups throughout the region in order to gain their support. In one famous proclamation in 1799, he guaranteed Jerusalem for the Jewish people and invited them to join his army. Many say that this proclamation, which was also printed in French newspapers, gave rise to modern Zionism, which insisted that the Holy Land be exclusively for the Jewish people. Although his intentions with respect to the Egyptian expedition proved to be both egotistical and disasterous, he has helped Egypt to pull itself out of the dark ages that it fell into since the 14th century. He has helped popularized Egyptology, a science that the Egyptians pride themselves with to this day. One thing for sure, however, is that he had little to do with the Sphinx and did not harm it in any way!